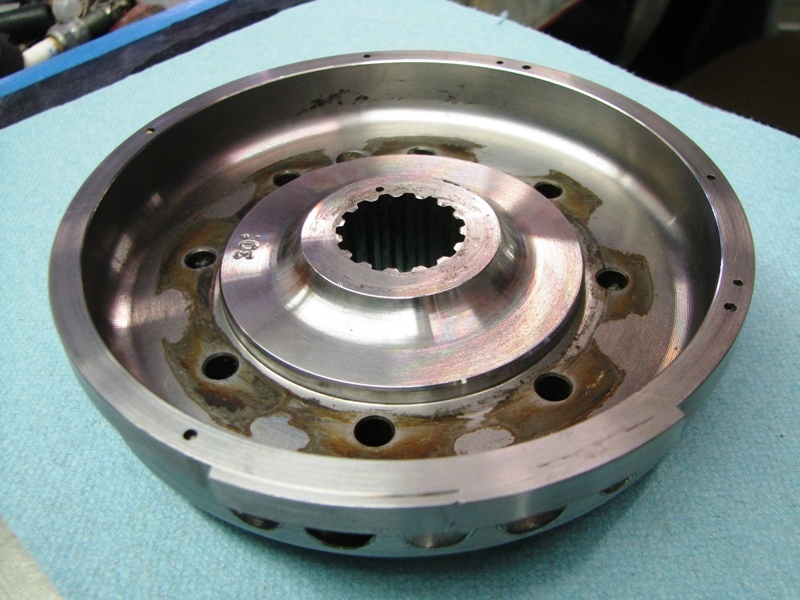 I've been contacted by a DMFer who wants me to lighten up his flywheel. I need 4 more of you who want the same before I can do it. $70 which includes return shipping anywhere in the states. Removes about 2 pounds*. PM Herm if you want a reference. I did his a while back and I think he even has pics posted somewhere. Looks like I can also do the carb flywheels but I can't guarantee 2 pounds since we cant cut the area with the ignition trigger. Very interested. Do you have a cutoff date in mind? M620 turned M800 but then back to M620 after the M800 died at 110k, and now to Multi 1000. How many different ones are there? I think all the ie bikes have the same fw. Does the Carb fw differ? We chuck on that bearing bore so as long as that's the same its a non issue here. Myself, I've got 3-ph carbie and 3-ph ie on my bench now, they are different. Nichols says there's 6 flywheels. I didn't plow through each model entry on their site, so YMMV. 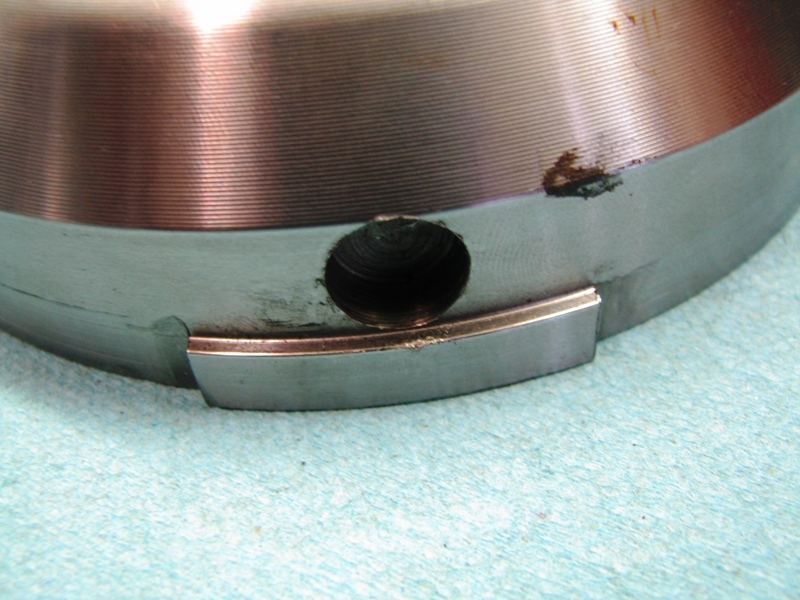 AFAIK, they all use the same sprag bearing, so if that's the surface you chuck up on, then it should be good. Just don't cut the carbie ignition trigger lumps off. Got a pic of those trigger lumps? I do not have a good feeling about these carb flywheels. That trigger lump is definitely in the area we machine. Hmm. I could do it but I can't say how much weight comes off without doing one and weighing it. Monsterlover, I'm the guy you just e-mailed back about this. Sorry, I didn't know this thread was going on. We can keep further conversation here for everyone's benefit. I also have a carbed model, still interested though. Speeddog, did you basically just drill that row of holes in a mill? Then take material off with a lathe just above the row of holes? "There is no minimum." - some guy. I had a bunch of weld added to that timing lump so I could run any advance I wanted (using an IgniTech TCIP-4 ignition box). Machined that lump down, and then removed material from there back. 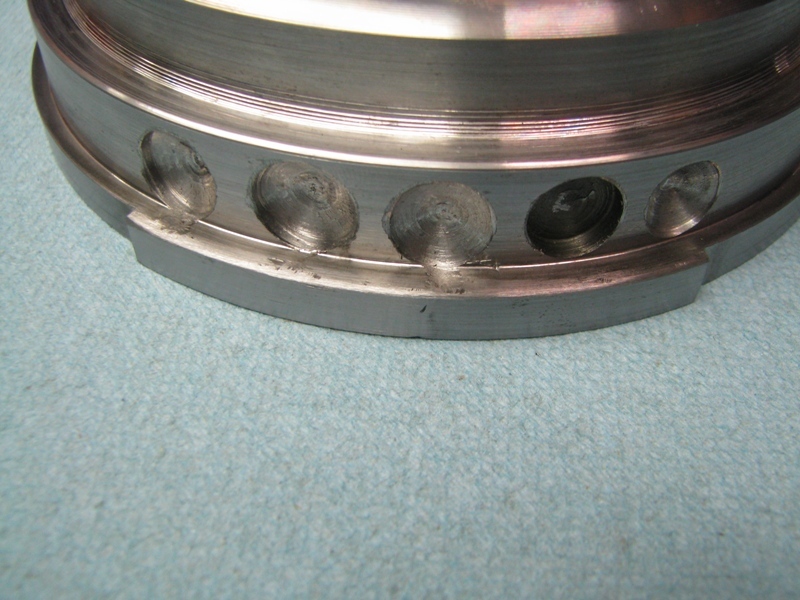 Additional drilled spots were to restore balance after adding material and removing ~ half of the original balance drilling. Does the stock 'lump' limit the amount of advance you can use, therefore limiting available performance with a heavily modded bike? How did you "measure balance"? I'm sorry, I feel like I'm taking this thread off topic. 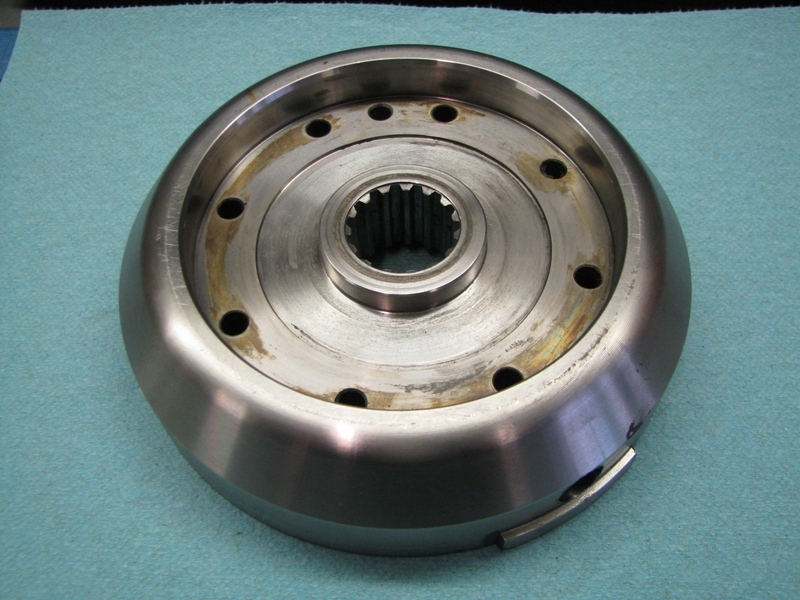 My carbed flywheel has over 2 pounds machined off. A mate trimmed the back, inside, etc with a bevel effect and kind of dished it out alot like the Nichols version. Sorry, no pics. It went from 1900 grams to 900 grams. Another mate reckons its smoother than the Yoyodyne/DP type on his carbed 900 SS.